More recently it has become apparent that ComEd has begun targeting young children in the marketing of its smart meter products. What is even more surprising is that school officials are evidently allowing ComEd representatives to enter school grounds to play games with the children to help them learn about smart meters and how they purportedly can be used to help save energy and money. The reference to “free ice cream” is noteworthy as it was used by a consumer watchdog group in 2010 in characterizing the efforts of Google to offer free services in return for a loss of privacy on the part of consumers. This analogy holds here since one of the many risks involved with smart meters is a loss of behavioral privacy by utility customers. In return for this loss of privacy, utility customers will supposedly gain additional information on their energy usage habits, but unfortunately so will the utility and others. So what we have done here at this website is prepare a 2-minute video clip to highlight some of the activities going on at our schools and to dramatize how this “free ice cream,” fun and games propaganda strategy by ComEd is somewhat unseemly given the substantial risks involved with smart meter technology. It is hoped that parents and school officials might review this article and associated video and have second thoughts on allowing such propaganda efforts continuing in the future by ComEd and other smart grid industry-related organizations. The above video clip contains material used pursuant to the Fair Use Doctrine under 17 U.S.C. 107 and is presented in the public’s interest for non-commercial purposes. The video is intended to be utilized as part of this associated blog article by SkyVision Solutions and should be considered as a critical review of one aspect of the ComEd smart meter program. “Accuracy of Digital Electricity Meters,” Electric Power Research Institute (EPRI) White Paper, May 2010, available through the following link: http://wp.me/a3nav9-33O. 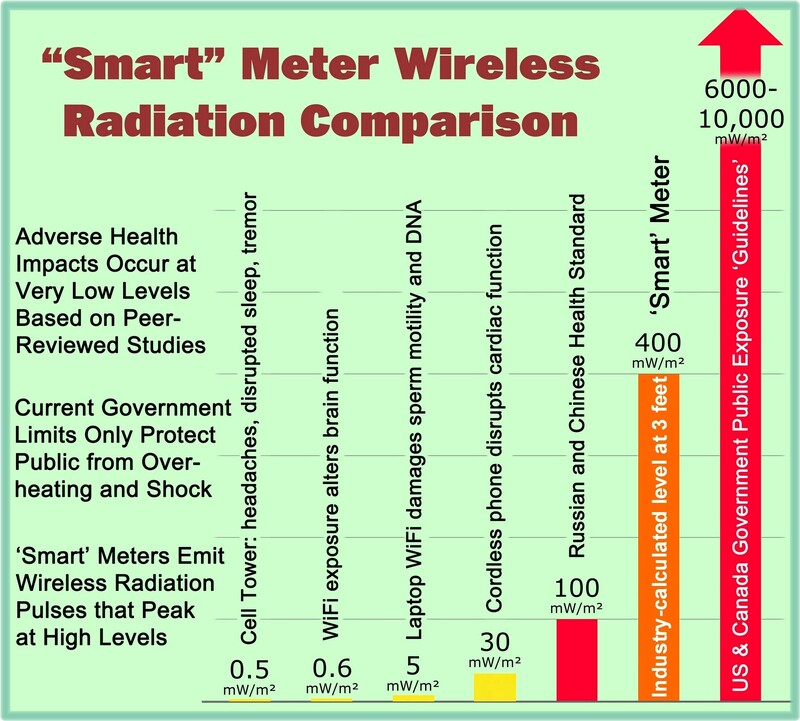 This entry was posted in Smart Grid, Smart Meters, and RF Emissions and tagged ComEd, Free Ice Cream, Privacy, Propaganda, Schools, Smart Meters. Bookmark the permalink. 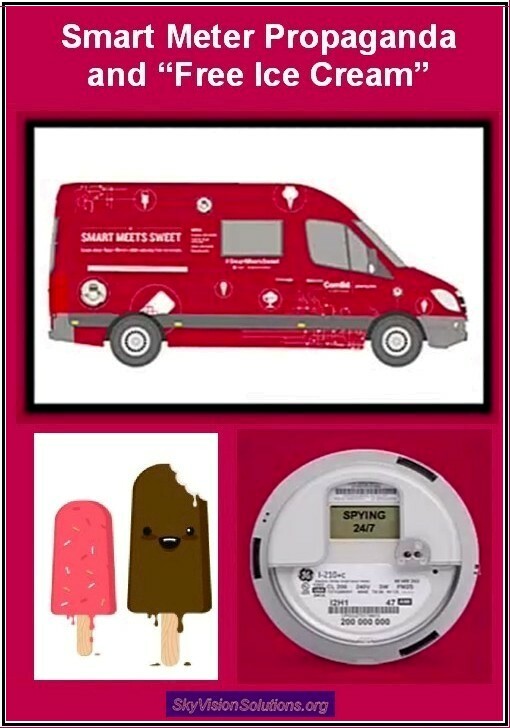 Pingback: ComEd Enters Schools “Smart” Meters with GMO Ice Cream | Stop Smart Meters! Soviet “Young Pioneers,” Hitler Youth, now ComEd Youth. Disgusting. Shameless. If these are so wonderful, why do they have to brain wash children and use them to “sell” the smeters to their parents? The blog is great. How predatory it is to target young children. For ComEd to feed biased information to children who are too young to make an assessment of the validity of the material presented is underhanded, especially considering the extensive risks involved to their health and safety. Further, to associate this propaganda with fun and ice cream IS downright predatory! “If you get on the train we will give you some bread with marmalade”.